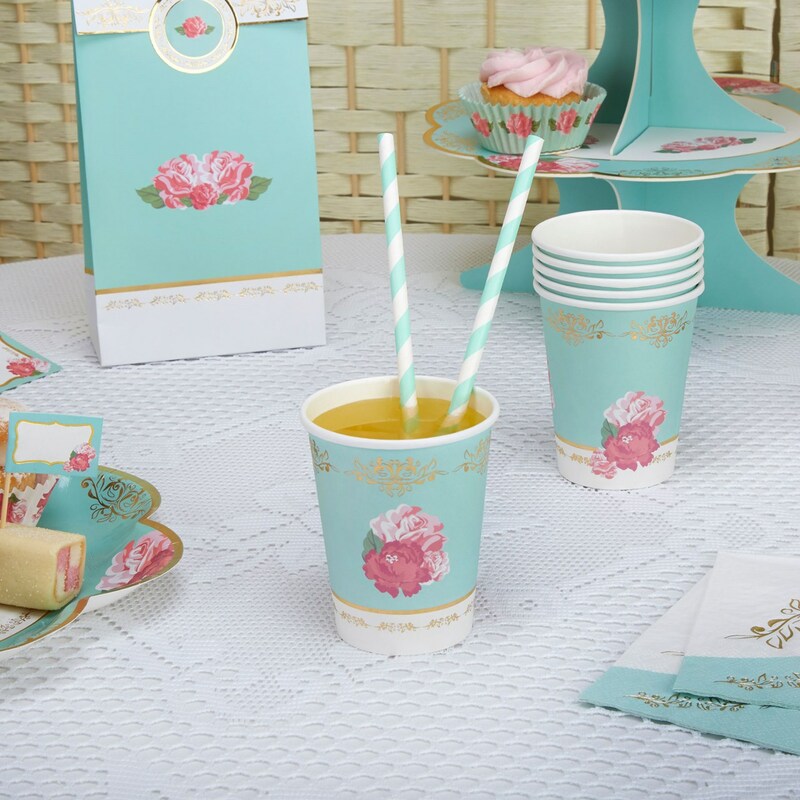 Perfect for birthday parties, anniversaries or afternoon tea, the Eternal Rose collection includes tableware and decorative items, including these gorgeous paper cups. Made from durable reinforced paper, the cups feature a rose and filigree design inspired by vintage china to create a pretty alternative to plain glassware. Each pack contains 8 Paper Cups.